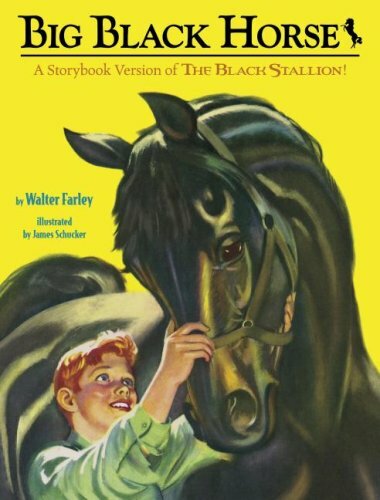 Available again after almost 50 years is the picture book version of The Black Stallion. With stunning retro illustrations and Farley's fast-paced text, this gorgeous book will appeal to the nostalgic and adventurous alike. As the sole human survivor of a devastating shipwreck, Alec finds himself alone on a small island with a magnificent stallion, black as night and dangerous as fire. Together they each realize that the other is the key to survival. Thus begins the most famous relationship in horse fiction.